Without my hand holding you steady over the tightrope. And inspire them to walk that tightrope after you. or the brown of your eyes. That will make the fruit of that one incentive taste sweeter in the end. or white waves crashing along a sandy beach. Should be embraced and cherished before they crumble to dust. © Copyright 2019 Mackenzie James. All rights reserved. I love your poem! Great wording! If you get a chance please take a look at some of my poems! Thanks! You have real talent. Keep up the good work. thank you for your kind words Maddie! I will be sure to check out your writing. Beautifully put. Very tender. When she's older, I hope my grand daughter meets someone like the guy in this poem! Thank you Chris! I hope you will share this with your friends. I'll take a look at your work soon! With talent like that, it shouldn't be too hard to get recognized. 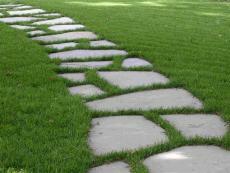 That was a beautiful poem, and so true about life's stepping stones. wow, thank you so much Julie! please share! This is a very nice, well written, easy to picture and very flowing piece. It's very nice the way it ends, especially in a way that can connect a person by the heart. Thank You Jhenny! Please share with your friends, I am trying to get recognized! I will read some of your pieces next time i'm online! A very good flow yet over a few bumps and cracks i would say so you cant doze when you read. I had a different picture about this poem at the start compared to the end. very good piece mate. I love it it's realy well wrighten and sweet. I really enjoyed this poem. Especially the ending lines. It had a nice flow and flowed nicely all the way to the end! Great job! To Cluck? Or Not To Cluck? This page was created in 0.3694 seconds.